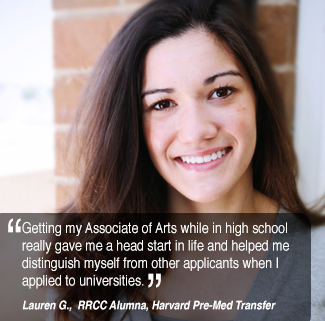 RRCC Online Classes provide Red Rocks students with the opportunity to take classes from home. Students log in to a dedicated server and ask questions of their teachers, share information with fellow students, and complete reading assignments, homework, and tests. Working with an instructor, you’ll design your own schedule. Self-paced Classes provide a great amount of flexibility and the opportunity to study when you have the most time to study. Often called the “best of both worlds,” Hybrid Classes are a mix of methodologies. Often students spend part of their time in the classroom and part of their time online. In other classes, time may be spent in a lab and working from home. When your schedule doesn’t permit a 15-week class, try one of our Accelerated Classes. From 10 weeks, to 1 weekend, you’ll find a variety of classes to meet your scheduling needs. Be sure to check out Weekend Classes for other accelerated options. Need to go to school only on weekends? Check out our Weekend Classes course listing of the variety classes available beginning Fridays at 5:00 pm through Sunday. Most weekend classes are also accelerated. Learning Communities are two courses blended into one longer one. It is a convenient and interesting approach where objectives from two areas are blended to compliment one another. Learning Communities are not always offered each semester. Colorado Community Colleges Online (CCCOnline) provides community colleges throughout the state the ability to offer a wide range of online classes to their students. If you don’t find what you need on campus, check out www.ccconline.org. Traditional classes give the student a chance to participate in lectures and discussions. It provides the student an opportunity to develop relationships with fellow students and instructors. Want a list of our latest courses? Check our schedule and catalog.